Deborah Ní Ghibne was brought up in Limerick, in a time long after, and far removed from, the misery portrayed byFrank McCourt. She spent her early childhood pretending she was Martina Navratilova as soon as Wimbledon appeared on TV, reinacting episodes of Charlie’s Angels, and eating sand filled sandwiches on the beach in Kilkee. Her teens were wasted honing her dance skills to the Stone Roses in Termites discotheque, wearing flares and paisley shirts, dreaming of marrying James Dean, and desperately wishing she were older and cooler. 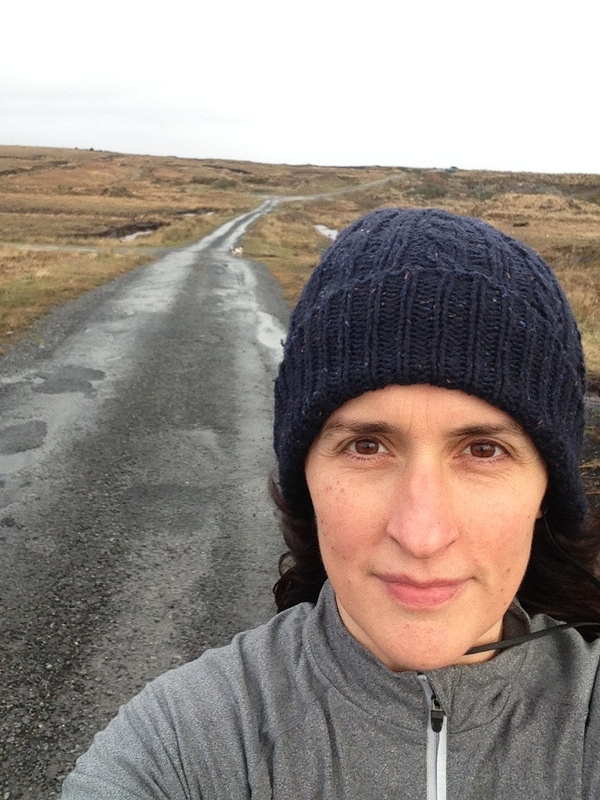 She now lives in the wilds of Connemara, with her husband and five children. The older bit is in the bag, but the cooler side of her aspirations are proving very elusive. Deborah is a born procrastinator and that, coupled with sluggish self motivation and her addiction to social media and literature, has lead to her taking over forty years to decide to write her first novel. These forty years have been spent in solid research, reading every book and everything she could get her hands on. Her maniacal fascination with reading can be traced back to her father and his father before him, both of whom could sit through an air raid and the subsequent leveling of the home town, without raising their eyes from the pages of the tome between their hands – especially if said tome was written by Alfred Hitchcock or John Connolly. Throughout these forty years, the dream of becoming a writer has always been present, nestled quietly in her heart, living, breathing and waiting. The stories and tales that danced through her head day and night, and followed her wherever she went, have been constant yet patient. Fifteen years in a grey office finally pushed her over the edge and sent her running and screaming towards an MA in Writing, where she at long last found her voice and the confidence to put her head above the parapet and shout (well, not shout really, but quietly squeak), “I am a writer and I have a story to tell!” She has now stepped off the sideline, come down from the fence and jumped out of the grey area. Her blog The Road to Hell is Paved with Adverbs allows her to share the experiences of a first time author and full time mother and wife. It also allows her to attain some of her long desired coolness by creating an alternative life and persona for herself. When she is not blogging she can be found cleaning, cooking, taxi-ing, scolding, loving, despairing, running, reading, … and of course writing. She is working on her first novel at the moment, but has ideas for the next three or four – stories that need to come out or some innocuous day, when she is doing the weekly grocery shop in Aldi, her head will explode and fall in a bloody heap in the frozen food aisle. She hopes to quickly become a world famous, disgustingly wealthy, uber cool author, but failing that will settle for having her first novel published. One step at a time.